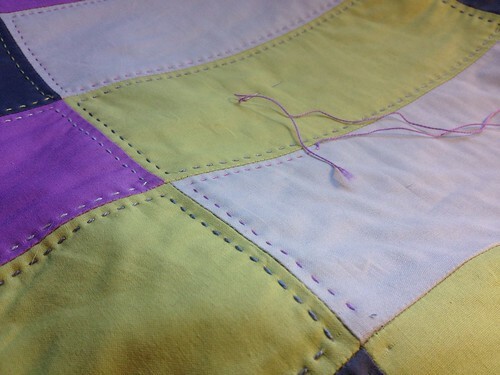 This past week I got a good amount of hand quilting done. I'm currently hand quilting 2 quilts, one for my Best Friend for her wedding in March (I've already told her to expect it as a belated present due to the huge amounts of hand quilting I'm doing on that baby). I'm doing another for a friend from college that was an Art major, that plays off the work she did in school, dealing with proportions. 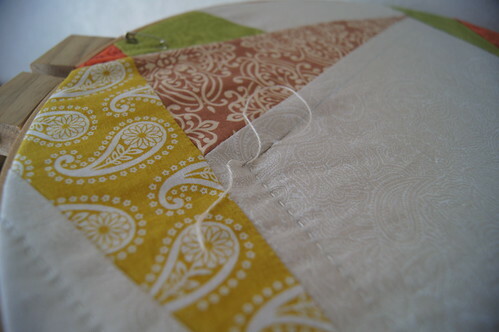 Here's some of the detail of the wedding quilt, I am quilting it with size 5 pearl cotton in off white. I can't show too much because she follow the blog.. I still have a couple of months left on this one. 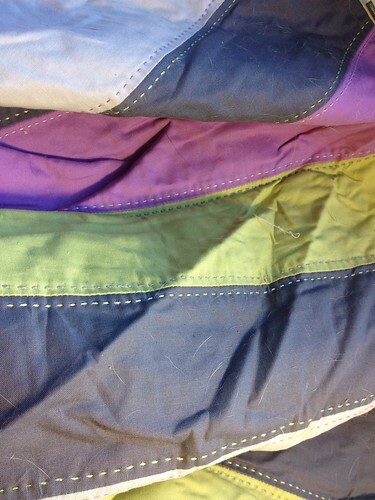 The other quilt is solids quilted with opposite color pearl cotton as well. I learned that next time I need to scoot a little more than 1/4 in off the seam allowance because I'm right on and quilting through all of that bulk is not very fun. And what it looks like after my dog has decided to lay all over it.. My fault for leaving it on the bed. Linking up to Take Your Time Tuesday at So Happy to Sew! Wow, your hand quilting is amazing. I am thinking about starting. 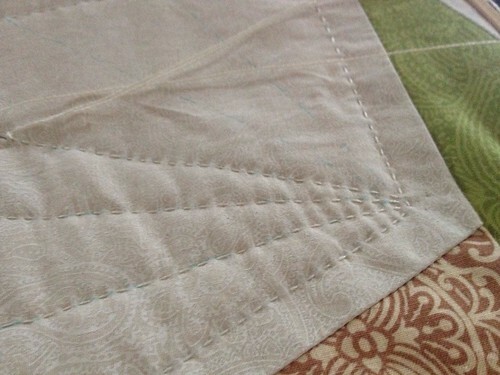 How do you baste your quilt? And do you use a hoop? Thanks! Looks beautiful! 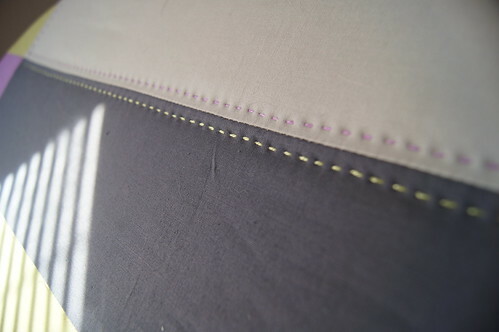 Is that called big stitch with that thread?